The Marantz Sound Shield Reflection Filter is the ideal solution for bringing studio-grade acoustic filtering to your home. The Sound Shield Reflection Filter works by absorbing unwanted reflections, vibrations and resonance before it hits your microphone. It is designed to optimise your vocal recordings, when using studio-grade microphones, such as condenser mics. The professional reflection filter is comprised of 5 premium-grade perforates metal panels with professional EVA acoustic foam, designed to improve your vocal fidelity and overall clarity. It will attach easily to any standard microphone stand, and it can also be mounted to a tabletop, thanks to the integrated threaded insert. The Marantz Sound Shield Reflection Filter is constructed from five absorptive walls (three stationary, two foldable) which are constructed from sound-absorptive surfaces and backed with high density EVA foam to provide an even more accurate, noise free recording. This results in optimal audio fidelity, providing unparalleled clarity and acoustic accuracy. The reflection filter features an adjustable design, allowing you to cater to various microphones and recording applications. 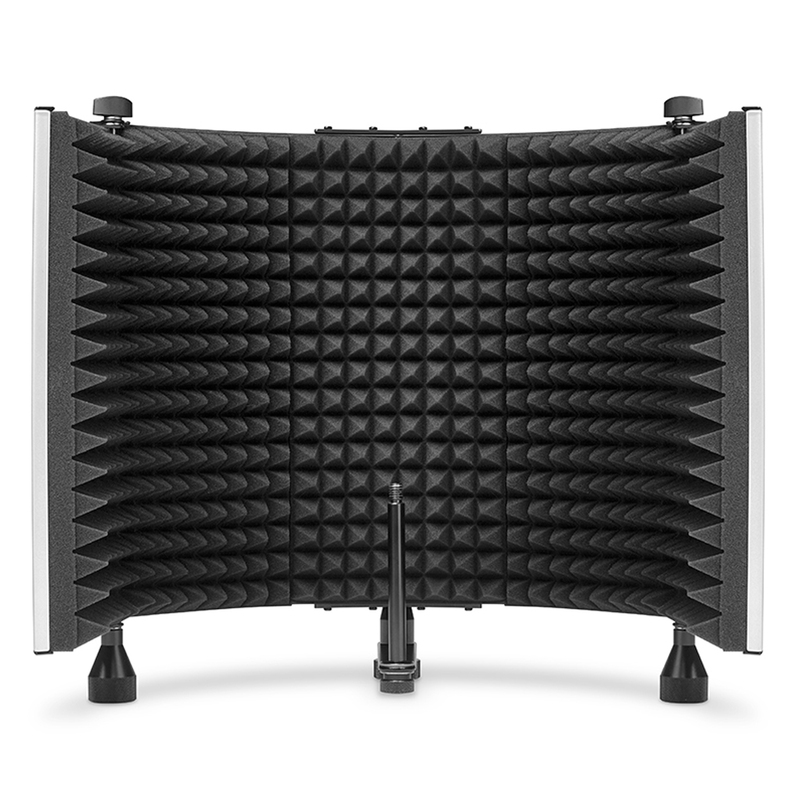 The Sound Shield Reflection Filter is both small and light, allowing you to easily move the filter around, either on your desk, or fastened to a microphone stand. 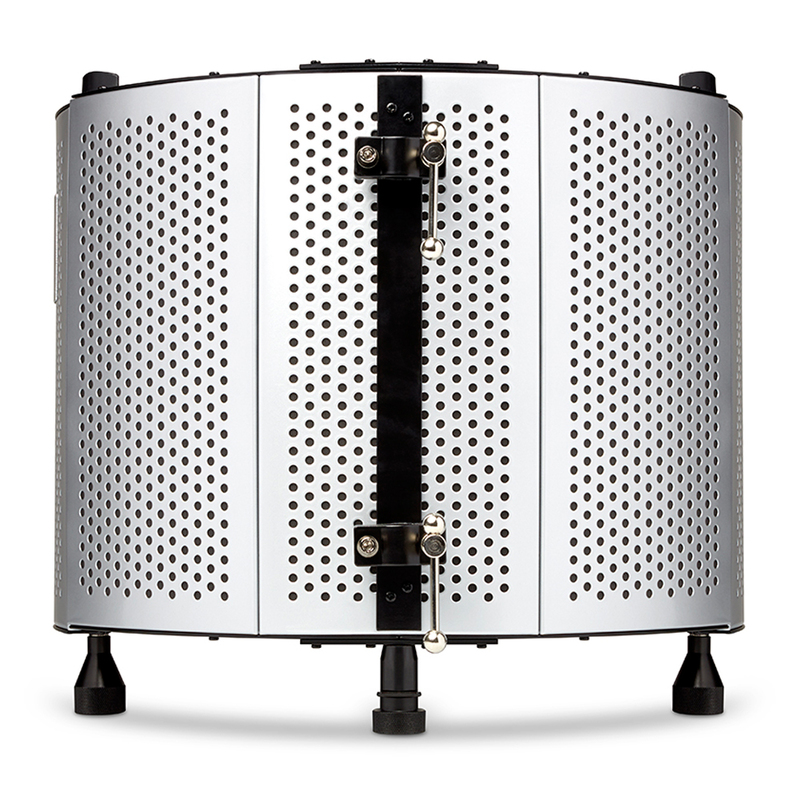 The five premium-grade perforated metal panels are not only robust but durable, ensuring a long-life span. Its versatile design can also be used with a microphone stand, or fastened to a desk or table top surface for added flexibility. It is ideal for capturing studio-grade vocal recordings, as well as podcasting and more.